"Honest dependable service" was a slogan adopted by Kenneth Blackburn when he founded he company in 1960. It is what we still provide today. We can supply everything you might need, from the tank to the beautiful gas logs in your home. Office staff, servicemen, and delivery drivers are all knowledgeable and well trained to supply propane in a safe and efficient manner. We are the only full service propane company in the area providing appliances, plumbing and all services connected with the propane industry. "We are your hometown business"
The company has grown to cover Johnston, Bryan, Marshall. Atoka, Love, and Carter Counties in Southeastern Oklahoma. 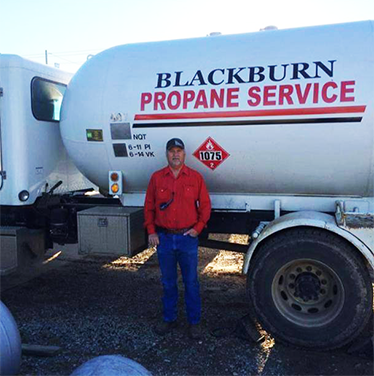 In 2013 Blackburn Propane Service expanded into Norh Texas serving Fannin, Hunt, Collin and Grayson counties. Storage locations are in Nida and Calera as well as Leonard, Texas. The newly constructed office is located just south of Calera on Hwy 69/75. 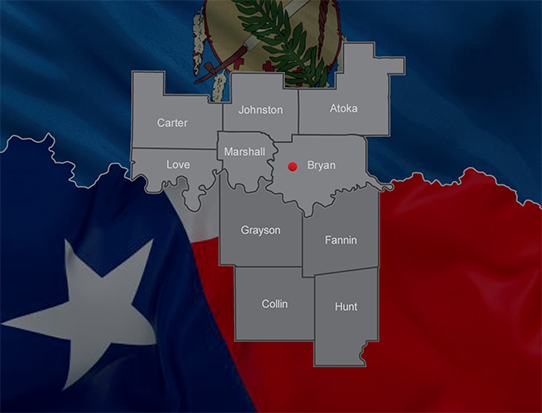 We are proud to service Johnston, Bryan, Marshall, Atoka, Love, and Carter counties in Southeastern Oklahoma, as well as Fannin, Hunt, Collin, and Grayson counties in North Texas.